This entry was posted on Sunday, November 16th, 2014 at 1:12 pm and is filed under grammar, language, usage, writing. You can follow any responses to this entry through the RSS 2.0 feed. You can leave a response, or trackback from your own site. Thanks a lot, Stan. As a non native speaker interested in languages, I found this video interesting and informative. I wasn’t aware of the abbreviation decline. Languages have their ways and always surprise us. You’re welcome, Josep-Anton. I don’t know whether abbreviation use in text messages (and WhatsApp, Viber, etc.) is declining overall – Crystal’s data is anecdotal here – but it would not surprise me, since we’re less constrained by character count than before. And it’s probably less fashionable now. Thanks for the very interesting, informative video, English 3.0. As I viewed it just now, I found myself noticing background images, the ears and noses of the speakers, and the absence of racial and non-academic diversity. For example, within an academic context, language is typically a matter of intellectual reflection and prescription, even by those who are inclusive about non-standard language. In other words, the speakers in this video typically prescribe language for the masses, at least the educated masses, within a formal and social context. They might acknowledge that language is available to the masses, but they also represent credible interpretation of language for those who have authority and power in society. 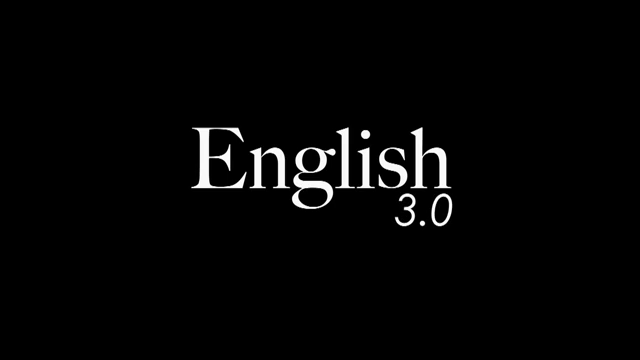 How might a person, not formally educated but intellectually astute, speak in the context of this English 3.0 presentation about language? How might a politician who has contributed to the disrepute of rhetoric speak about language? How might a gifted preacher speak about the evolution of language? How might I speak about language if I were not so enslaved to the code expected of all educated communicators in this politically correct environment in which I live and work? I don’t know the answers to my own questions. However, my reflections at this time revolve around these thoughts. I pray your weather in Ireland is pleasant today. Thanks for your communication to us, Stan. I’m reading you even when I’m not responding to you. My question is whether “racial” or “race” are unquestioned in the English language. Nice share! Would you care to add a ‘like’ star to your blogs? Vinetta: Good evening! Your questions and reflections are thought-provoking, as always. I agree broadly with your point about diversity in the video – four white males out of five speakers isn’t very balanced. But none of them, I think, “prescribe language for the masses” – rather, they describe and comment on the language of the masses. Naturally they use standard English to make their points, and in their professional capacities, yet I suspect their conclusions would not be very different from those of less educated users of the language. The weather in Ireland is cool, windy, and wet, but the west has been spared the flooding that has hit much of the rest of the country of late. Josep-Anton: Racial diversity is a normal term in English, even among people who see the human race as one race, and its use appears to have increased sharply since the 1990s. It’s more or less equivalent to ethnic diversity, as far as I can tell. A search for the phrase on Google Books will give some indication of how it’s used. TFP: Not really, but thanks for the suggestion! Glad you enjoyed the video. I heard about this trend away from abbreviations in text messages a couple of years ago, and have noticed it, also, in messages that I receive from the younger generation. I thought that the move back to using whole words might have come at the same time as more people were paying for *unlimited* texting, so they didn’t have to conserve characters. Also, the larger smart phones make typing easier. But I am behind the times as usual: I don’t have a smart phone and am still looking for ways to shorten text messages. Following the discussion of the phrase “racial diversity”, the word “race” has a long history in English of being used in contexts where “culture” is more literally meant. The term “racism” rarely means what it would have in the 19th century, but more often refers (among other things) to the attitude that society should give preferential treatment to people culturally similar to yourself. I believe the reason “race” is used loosely is historical — as racism in the original sense became less of an issue in society, the term broadened in meaning to include forms of prejudice against the Other that are not directly related to ancestry or skin colour. Fundamentally, all such prejudices against people “not like us” are seen as instances of the exact same thing. I also believe this goes some way to explaining why racists are notorious for insisting that they are not racists, since they can lie to themselves and pretend that the term still means what it did a hundred years ago. GretchenJoanna: Conserving message length is definitely a factor that bears less on today’s texts, and for various reasons. Revisiting an article I wrote on texting style just a couple of years ago, I notice a slight tendency to abbreviate less in my own texts: partly because of changes to my phone type and service. It’s funny that your use of texting was flagged; I’ve noticed similarly that Twitter redlines emoji, despite its prevalence there. Adrian: Thanks for those considered thoughts on the subject. To Josep-Anton and others: race and racism – both the terms and the concepts – are addressed regularly with insight and sensitivity on NPR’s Code Switch blog; for example, in this post on the history of ‘racism’. I am a bit puzzled. First, pedantically, since OED apparently (don’t have the latest one) traces ‘racism’ (and ‘racialism’) only to 1902/3, what is this 19thC usage,Mr Morgan refers to ? More generally, if, as there seems to me – and as you, Stan, imply, I believe – often no real distinction between racial and ethnic as commonly used nowadays (save for those who persist in thinking the ethnicos are heathen, which indeed they may be – we all are to somebody), the notion of ‘nation’ in ethnos is with difficulty disentangled from race – if one wants to speak of the North American Indians as a race apart, yet they are also frequently described as ‘the Indian nation’.So the question seems to come down to, does one word have different associations, rahter than denotations, from the other ? Inded they do (pause for short ad. for ethnic t-shirts expressing horror at racism), but I think there is a useful denotative difference – the difference between a biological (or at least pseudo-biological) description and a historical one. If that is correct, then Ms Bell’s remarks were corrrctly phrased. sorry, ‘correctly’, not what I wrote though I am quite pleased with the new word, very aggressive.